Questions still remain years later. Photo: Supplied. 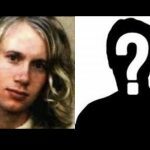 The Port Arthur Massacre, described as an “indelible part of Australian history”, is an event that resulted in international media coverage, unprecedented national debate and the introduction of strict firearms laws across the country. Over 20 years later, numerous inconsistencies with the Port Arthur narrative remain unanswered. On the latest episode of the General Knowledge Podcast, Ethan Nash from TOTT News and General Maddox from Real News Australia are joined by Paul Moder, from the upcoming film WASP – The Port Arthur Massacre, to discuss questions with the official story, gun control and aftermath, plans with the movie and much more. Support Paul’s upcoming film at the link below! ← Are There “Sleeper” Vaccine-Caused Mutations That Are Deliberately Ignored? 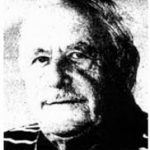 & I agree with & commend Lindsey Johnson for his work. * according to article:- Lucy Turnbull Quietly Exits Sole ASX Role. & as a result the share price of ASX fell. TRUTH as i see it – The Turnbus are believed to be in debt – thereby causing investors to get jittery about ASX & Our Beloved Lucy was given a firm shove out the door & I reckon Our Malcolm Turnbull was also asked to piddle of as PM for the same reason. Therefore while I have a very high regard for Lindsey Johnson’s exacting efforts to truth & justice. I do not believe that Goldman Sachs is really as powerful & cohesive in the money world – global or otherwise – as they want us to believe or the mainstream media paints them to be. There are many questions to be answered and many answers to be questioned. The Howard regime presided over the Port Arthur massacre and the Bali Bombing. Both of these events, believe it or not, were orchestrated to create fear amongst the Australian people as regards having a terrorist plotting under your bed. All terrorism is State Sponsored for your fear. 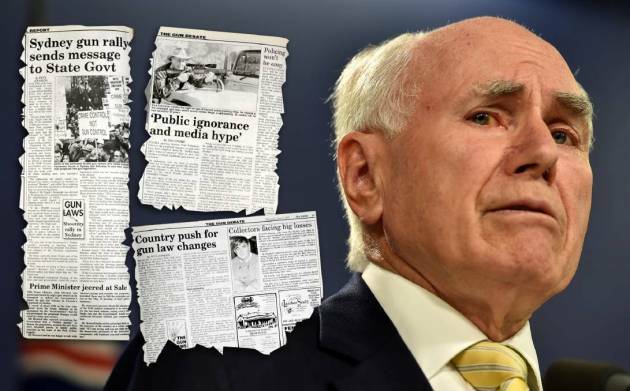 Howard, as PM, went along with the promotion of terrorism and obscured this attack on Australia claiming Terrorism was the cause. 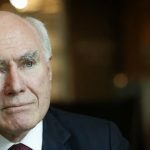 This Australian political coward enforced the protocols of the elite oligarchy who created 9/11 to establish fear of terrorists they promoted via their media. Murdock media is one of them. Gun Laws and the closing down of debate on both these events by Howard ceased any public understanding of facts. We must understand that we live in a world controlled by Oligarchical families who go back to Babylon/Egypt and have controlled the human race since then. In other words you, yes you, are nothing more than a controlled slave via the State that you keep voting in. Get used to it as unless you decide otherwise it will only get worse for you. State Control equals Communism. 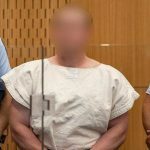 Is not it interesting, the NZ mosque shooting is being controlled by the NZ government. Crazy, no, as the Port Arthur and Bali drama’s were also controlled by the Howard Government. Do you remember how the police and officials cleaned up any evidence at Port Arthur that could have suggested that it was a military hit. 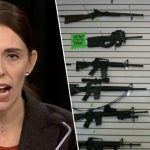 So too have the NZ Government started to obscure any evidence that was at the Mosque shooting. The Mosque has now had an emergency makeover which would destroy any evidence post the shootings. Bali Bombing and they shipped all the evidence out to sea and dumped. What I am saying here is that all these sites were all criminal sites and should have been kept that way until all evidence was gathered. It also happened at 9/11 so it seems that our Governments are involved in these attacks otherwise why destroy evidence; maybe to protect the perpetrators?You decide! And today, PM of Australia Scott Morrison has KNEE JERKED his fwitened little self into a frenzied law making mission to. * Is Australia’s PM Scott Morrison & most likely also New Zealand PM Jacinda Ardern so fearful ?? 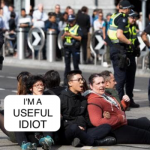 Are the New Zealand & Australian Political Arena’s afraid of a real & fair dinkum terrorist attack in retaliation for the Christchurch slaughter ?? And maybe even an attack on Parliament House ?? Play with matches – hey !! Pauline Hanson stated that there may have been a government coverup on the Port Arthur Massacre. It seems that the so called men in our political circus suffer from dropped balls and a yellow streak up the spine. Our woman folk seem to have the courage to speak out and in Hansons case pay the penalty of character assassination by these no-balls political cowards who have never had the courage to call a spade a spade. Port Arthur is in need of a Public Enquiry for as Hanson stated there was a political cover-up and there most assuredly was. Howard and cronies in the witness box would make my day!